Executives and Upper Management receive a lot of information in a lot of ways. By visually giving them the status of the current portfolio of projects and displaying if it is on time or not to the deadline date makes it easy for them to know where they should concentrate their time and energy. That is what the status page shows – the percentage complete of each project in the portfolio based on the project status that is selected. And, on the right side, the number of days early or late (or if it is exactly on time) a project is (based on the deadline) is displayed in an easy to understand manner. With the two pieces of information – the completed amount and the variance for the number of days - the Management Team can decide together what projects may need more attention from the organization. 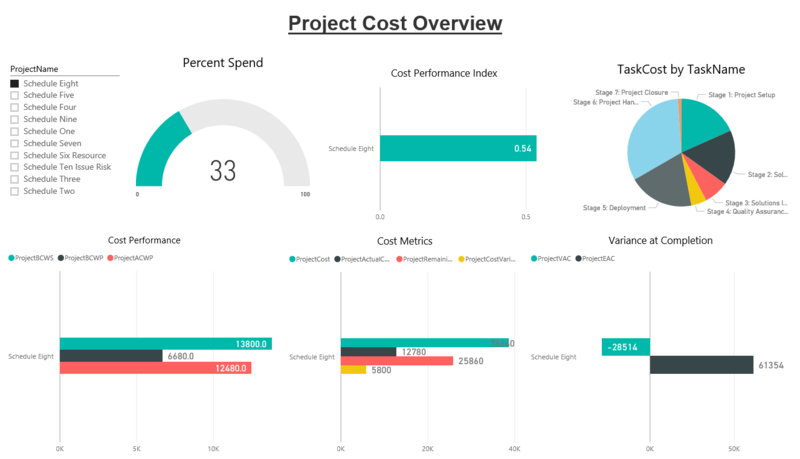 In many situations, EPM Strategy creates the report so that it is drillable and then the Management Team can look and see what task(s) are causing the project to go late if they so desire. 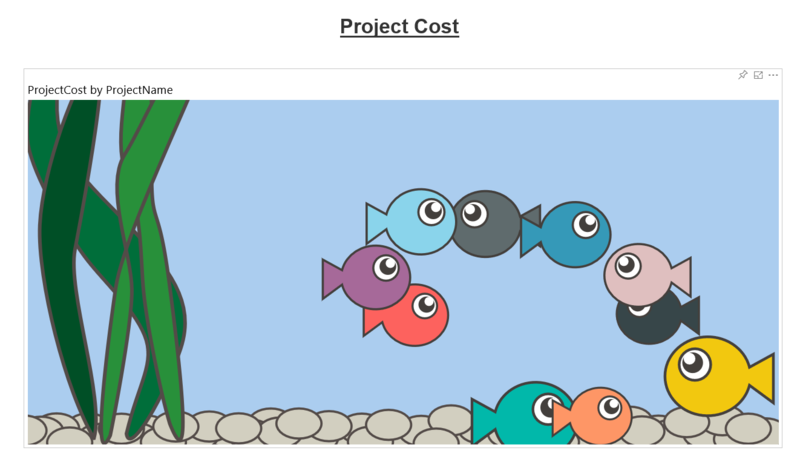 Or, this report can link to another report that gives more detailed information for each individual project that can display the task(s) that are causing the dates to move for a project. In this example, we only are using status as a slicer but in larger organizations we may also use Departments, Project Managers, Locations or some combination of those and other important differentiators that an organization may use. The second page represents a common request by Executives and Upper Management as well – “How many Issues or Risks are there on these projects?” It may be that before drilling down on the information on the first page, the Issues and Risks can be reviewed to determine if there is an obvious cause of the percentage complete or variance shown on the first page. For example, an issue may be on a project for a task where the organization is waiting for some external input. By drilling down on the issues for a project it may be that the Management Team doesn’t have to start asking Project Managers or other stakeholders the reasoning for the information from the first page. 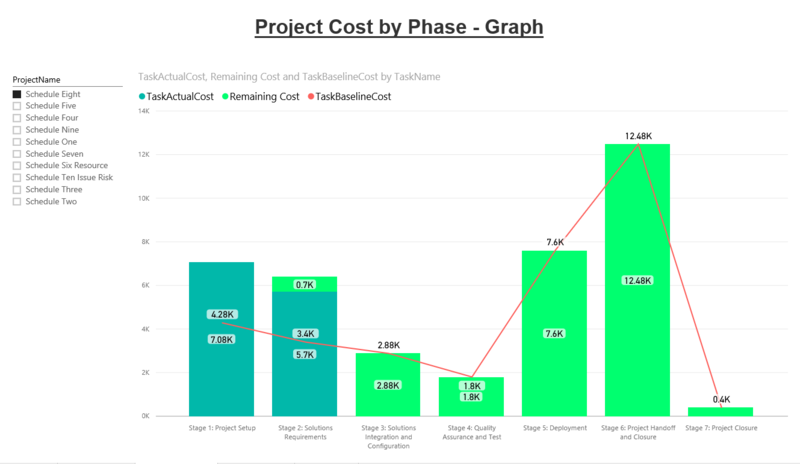 This is another potential time saver as the reasoning behind the data can be sometimes easily seen by drilling down on the Issues (or Risks) for a specific project.